Eczema or dermatitis is essentially “glorified dry skin”. A common skin condition which can affect adults as well as infants and children. There are various kinds of eczema which may be classified as endogenous (form internal factors e.g. aatopic dermatitis) or exogenous (from external or environmental factors e.g. allergic contact dermatitis). It is critical for a skin specialist to identify the cause of eczema to provide the successful treatment. People with family history of allergic asthma or other such allergic diseases are more prone to this skin condition. 1. Atopic Dermatitis – generally occurs in infants and children but may run into adulthood. Starts on the face and the flexural areas but may extend all over the body. It is an extremely itchy condition resulting in a hampered quality of life. 2. 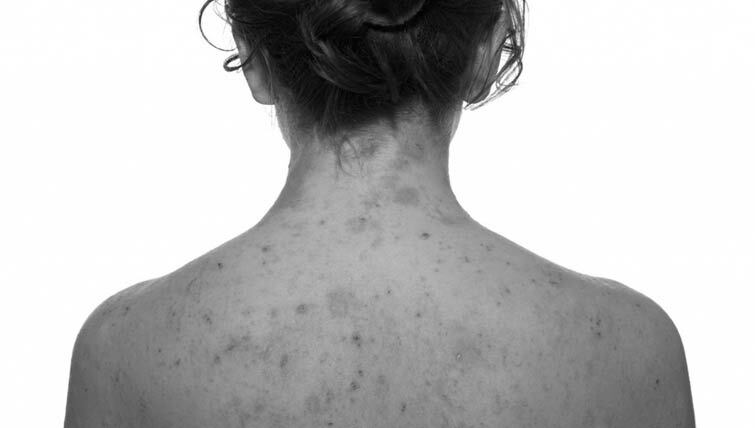 Irritant contact Dermatitis – When skin is exposed to excessive toxic substances. 3. Allergic Contact Dermatitis – Exposure to the allergic substances. 5. Seborrheic Dermatitis – this is an eczema related to your oil glands and commonly occurs in areas with a high density of oil glands – redness and scaling is commonly seen on the medial aspect of the eyebrows, around the nose, behind the ears and it may be associated with dandruff. It is imperative to use right moisturizing lotions generously to avoid dry and flaky skin, particularly in chronic or long standing eczemas. Emollients, preventing the use of harsh chemicals and avoiding the factors which trigger the condition can also help to alleviate the patient’s skin condition. A skin specialist will suggest you the right skin cleanser or soap, oral medications, and topical medications like corticosteroids, calcineurin inhibitors depending on your specific skin condition.